Jack Donaghy has left the building. 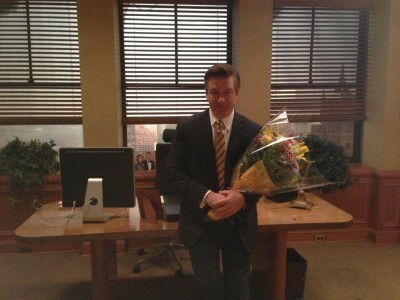 On Thursday, Alec Baldwin tweeted that he had finished the last episode of 30 Rock. Then, “All actors have debts to other actors. Mine is to the great Gene Hackman. Without Royal Tenenbaum, there’d be no map to Jack D.” Baldwin followed that up with other inspirations, listing Clifton Webb, Paul Lynde, George C. Scott, Kenneth Mars, Madeline Kahn, Eve Arden, and Doris Roberts. 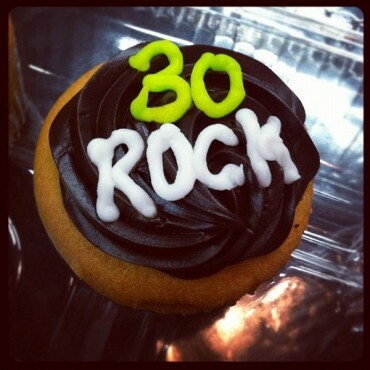 The series finale of 30 Rock airs on January 31st. What do you think? Will you be sorry to see 30 Rock go or has it stuck around a little too long? More about: 30 Rock, 30 Rock: canceled or renewed? Will definitely miss it. It was consistently funny, which is a lot harder than it sounds. 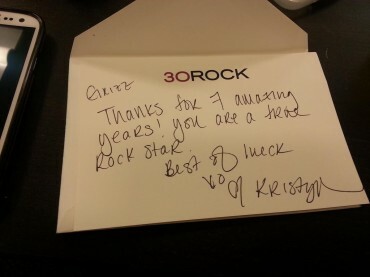 I’m very sorry to see 3o Rock go. They were consistently smarter than any recent comedy & funny, showed familiar actors off in different ways (I especially loved every episode that featured Selma Hayek), took risks. It’s been a dependably great show.